In the data visualization space, Spotfire competes with Tableau Software, QlikView and others. 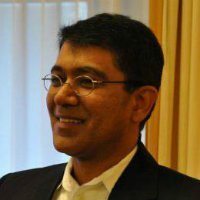 In the data analytics space, it competes with SAS, SPSS, etc. Spotfire does not compete with R, it actually has optimized the open source R codebase and embedded as Spotfire’s statistics engine, TERR (TIBCO Enterprise Runtime for R). Again, notice that I said, R is embedded in Spotfire, not just integrated. For difference between the two, let’s wait for another blog! 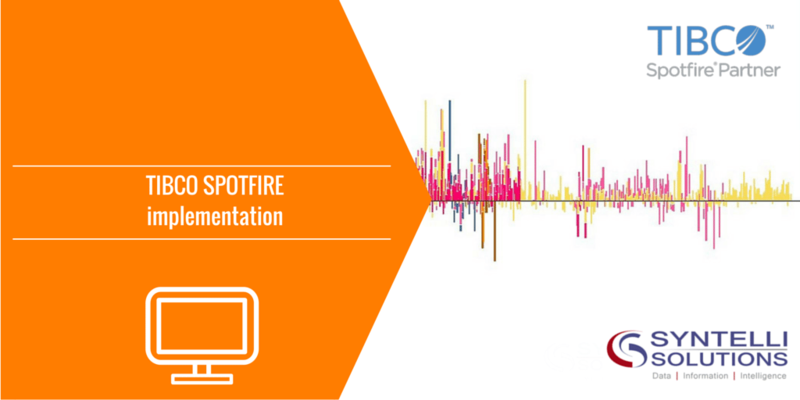 The implementation of Spotfire as a data visualization tool is very similar to the implementation of any other tools in terms of timelines, skills required, and complexity. It will require a few days of front-end effort which is recommended, but my assessment is that the effort for a good implementation is somewhere between the implementation effort required by Tableau (shorter time to implement than Spotfire) and QlikView (longer) and only a small fraction of the time, skill and cost in comparison with Oracle, SAP and other older generation BI tools. Once you have the Spotfire Server set up, then you can start setting up your users, user security and AD/LDAP authentication. Next, start creating some information links and then you are ready to install Spotfire Analyst version for your power users. This install takes a few minutes on local laptops/desktops, but gets the users authenticated to start sourcing data and building visualizations. The full length of time to implement Spotfire will be determined by how many analyses you make, the variations of those analyses, how many source systems you connect with, the quality of your source data, as well as a few other variables. This effort is comparable for any of data visualization tool, with very minor differences. It is a direct relationship – the more time you put into it, the more value you can get out of it. The question then arises as to whose time is needed? Do you always need consultants to build these visualizations? What happens when you have to add a new table/data? The answer is, anybody! There are always certain things that are easier to do in Spotfire than Tableau, and vice versa, but the main point is that anybody, and most of our clients, do the visualization building themselves and expand the product usage. We at Syntelli encourage the visualization builds to be done by your business users or your existing reporting team. That’s what truly creates a full Spotfire implementation! The second aspect of Spotfire’s capabilities are the real data science and analytics capabilities. This is the real differentiator for Spotfire as these capabilities simply do not exist in other tools. Out of the box, Spotfire has correlations, clustering, curve smoothing, and forecasting to name a few. The full analytic capabilities of Spotfire are fairly advanced, comparable to the ones you will find in SAS or Essbase. The nice thing is that when you buy Spotfire you get the whole product; you don’t pay anything additional for statistical capabilities or to make any external connections to leverage advanced capabilities. Spotfire has supported IronPython scripting since launch and has R embedded inside of Spotfire as TERR. So you are getting much more than a reporting tool as it is a true integrated analytics platform. Nevertheless, although bundled with Spotfire, for effective analyses using these data science and analytics capabilities within Spotfire you will need somebody who knows R well or has undergone the training in TERR. Syntelli offers TERR training in classroom sessions (public TERR trainings) or dedicated onsite training in TERR/R. I do have to differentiate that if you want to scale your implementation and start rolling the solution to hundreds of users, you will find that the Spotfire Server will scale up the easiest. It won’t require tuning or database optimization; it won’t give you challenges around how many server cores to assign to which pieces of software; and it won’t require expensive consultants to be flown-in to fix performance on Monday mornings or just before a big reporting event. Spotfire just works! So, when you want to add tens, hundreds, or as in some cases thousands of users, just use the Spotfire sizing calculator to determine the hardware needed to support your users, the number of analysis files (called .DXPs) and data sizes, and Spotfire will just work. I wish I could say that Spotfire will slow down often and you’ll need DBAs or IT consultants to tune and improve Spotfire, but no such luck – Spotfire is very boring here, because it works just fine! Want to see how Syntelli can help your organization with implementing TIBCO Spotfire?